Bake bread in this pan and your family will beg for more. 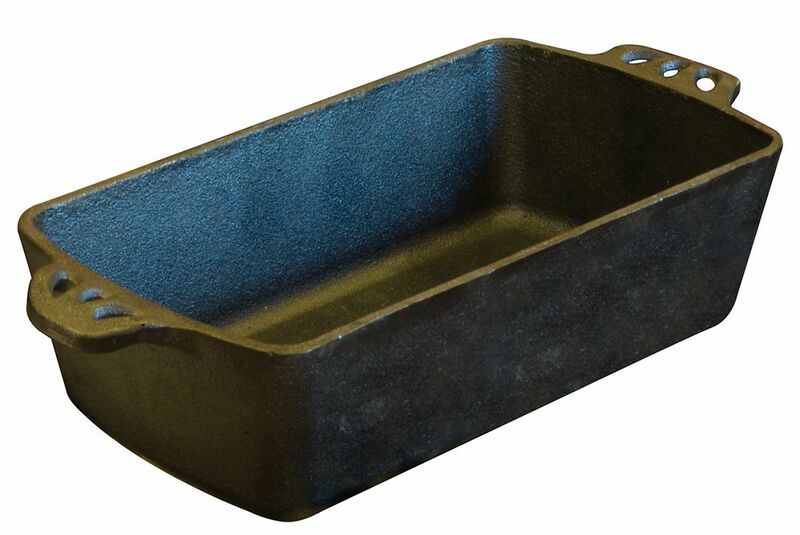 The Cast Iron Bread Pan offers even heat distribution giving your bread a golden brown crust. Decorative handles are added for convenience. This cast iron piece comes preseasoned with Camp Chef's True Seasoned Finish giving it a natural cooking surface that is ready to use out of the box. Cast Iron Bread Pan Bake bread in this pan and your family will beg for more. The Cast Iron Bread Pan offers even heat distribution giving your bread a golden brown crust. Decorative handles are added for convenience. This cast iron piece comes preseasoned with Camp Chef's True Seasoned Finish giving it a natural cooking surface that is ready to use out of the box. Cast Iron Bread Pan is rated 5.0 out of 5 by 3. Rated 5 out of 5 by Frank from Cast Iron Bread Pan This cast iron bread pan is well made i have made numerous loaves of bread with it. The pan heats evenly so you get a great loaf every time. It is very easy to clean nothing sticks to the pan well worth the money. Rated 5 out of 5 by BJ from Great Bread! I bake whole wheat bread every week for 10 of us. I grind my own flour and wanted the best pans to bake in. I heard that cast iron was good. I bought 4 of these and couldn't be happier. The bread bakes evenly, nicely browns and falls out of the pan. I use coconut oil to oil before baking. I also have baked bread with sprouted wheat flour and it comes out great. I really think the bread taste better in these pans than my old ones. So far, no cons from me. I make two batches of 4 loaves each, in one day. I would like to be able to buy 4 more pans when I am able to. I have some other cast iron from another well known name, they don't make bread pans anymore and I see no difference between the two. Rated 5 out of 5 by Anonymous from Should have bought this sooner! GREAT Quality! Being a cast iron user, don't know how I got by without one!